The migrant caravan from Central America has received help from many organizations and groups. Learn more about how these groups have shown kindness and compassion in this week’s Current Event! What is border security? Why does border security matter? Do the numbers of people in the caravan affect the efforts to respond to their needs? What is a migrant? 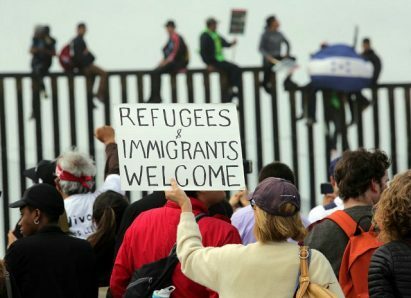 What are the motives of the caravan members? Are some of the caravan members criminals? Why are people leaving Honduras, Guatemala, Nicaragua and El Salvador? What do border-states in the United States fear in migration from Central America? What role should the countries of Honduras, el Salvador, Nicaragua and Guatemala play to help their citizens? What resources are available to help support migrants? What does “opening the floodgates” mean? How should the media cover the migrant caravan? Is neutral coverage possible? Why or why not? What are the international laws regarding immigration? What is asylum? What does the Ninth Circuit decision mean? What is a well-founded fear of persecution? What is the inscription on the Statue of Liberty? How is the caravan tied to the whole question of immigration policy? Does the humanitarian crisis at the border require international assistance? What are the implications of closing the border between the United States and Mexico?